Pioneer of British film stills and portrait photography, Fred Daniels (1892-1959) will be celebrated in a new display which opens at the National Portrait Gallery on 28th September. The display will include his studies of film stars including Elizabeth Bergner, Leslie Howard, John Mills, David Niven, Laurence Olivier, Vivien Leigh, Tilly Losch, James Mason, and Anna May Wong. Born in 1892 in Churchover, Warwickshire, Daniels was educated at Bablake public school, Coventry. He excelled at painting, later moving to Paris in the early 1920s where he became friends with Scottish colourist J.D. Fergusson. Fergusson commissioned Daniels to photograph his wife, the acclaimed dancer and choreographer Margaret Morris. 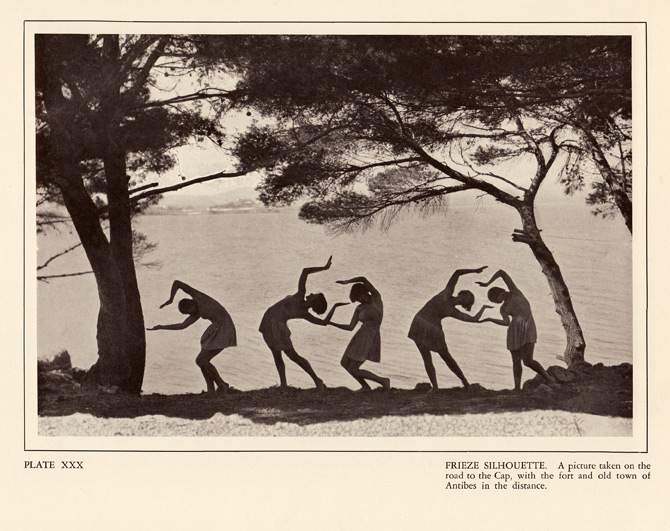 Daniels’s studies of Morris, taken at the Chateau de Deux Rives, Dinard, Brittany, and in the Foret D’Arc, Normandy, were collected in the 1925 publication Margaret Morris Dancing. One of Daniel’s early important commissions as a photographer came in 1929, when he was recruited by director E.A. Dupont to take stills and publicity portraits for Piccadilly, starring Anna May Wong and Gilda Gray. In the same year, Daniels also photographed actress Joan Barry in connection with Dupont’s film Atlantic, a fictional drama based upon the story of the RMS Titanic. 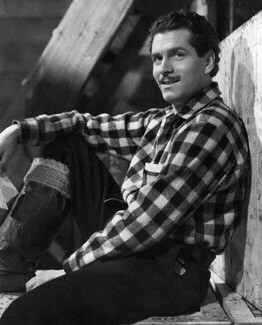 After these first experiences in film, Daniel’s wrote the essay Art in Film Production for magazine Windsor (October 1929), and the future direction of his career was certain. After working on several Herbert Wilcox films including Sorrell and Son (1933) and Victoria the Great (1937) starring Anna Neagle, Daniels established his own studio at 17 Coventry Street, Piccadilly. In 1941, he met filmmakers Michael Powell and Emeric Pressburger, photographing Laurence Olivier and Leslie Howard, the stars of their wartime drama 49th Parallel. The film won an Academy Award for Best Original Story, and its success led to Powell and Pressburger establishing their own production company, The Archers. In the following decade, Daniels worked on many of The Archers key films, including A Canterbury Tale (1944), A Matter of Life and Death (1946), and Black Narcissus (1947). His last major assignment for the company was in 1949, photographing David Niven at Elstree and Shepperton Studios on the set of The Elusive Pimpernel. Daniels’s work for The Archers is the subject of a new publication, The Archers: Powell & Pressburger Portraits /Portrety Fred Daniels by Nigel Arthur and Ewa Reeves. Nigel Arthur was awarded a bursary by the Understanding British Portraits network in 2011, and he and Ms Reeves have collaborated with the National Portrait Gallery on this forthcoming display. They will also present a lecture at the Gallery on Daniels’s career and legacy on 18 October 2012. This entry was posted in Displays, Features.